Daryl Johnson (Worcester Park, United Kingdom) on 25 November 2009 in Architecture and Portfolio. 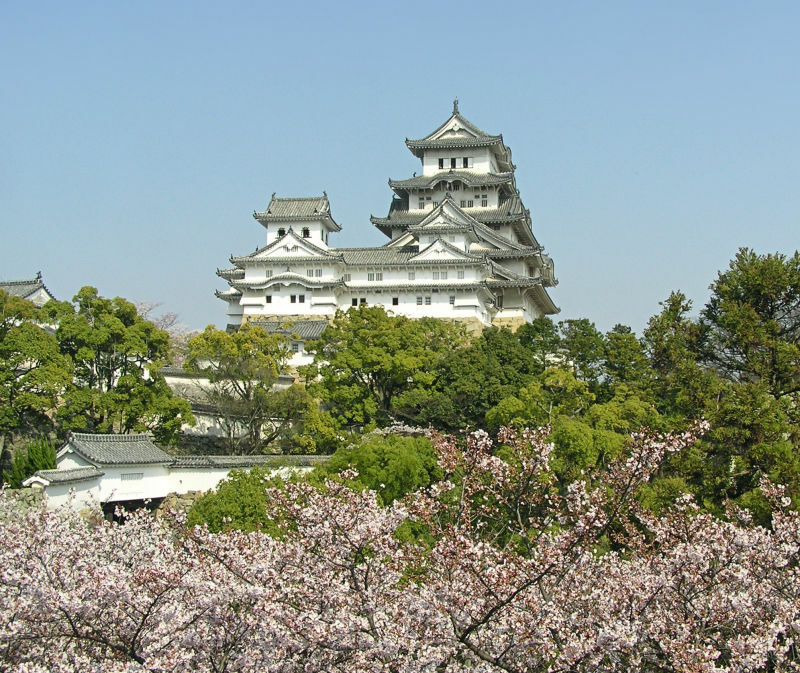 I think that will do for pictures of Himeji Castle for now; I'll have to save some for next spring! As if built on top of the canopy ! what a beautiful, Capture...A Chinese model? O.K. Daryl; save a few shots for next year. :-) This one is gorgeous. A very lovely place that you've left behind, gorgeous shot. The differences between Japanese and European castle architecture is interesting. @Twelvebit: Yes; you can understand how people dedicate themselves to the study of castle construction.